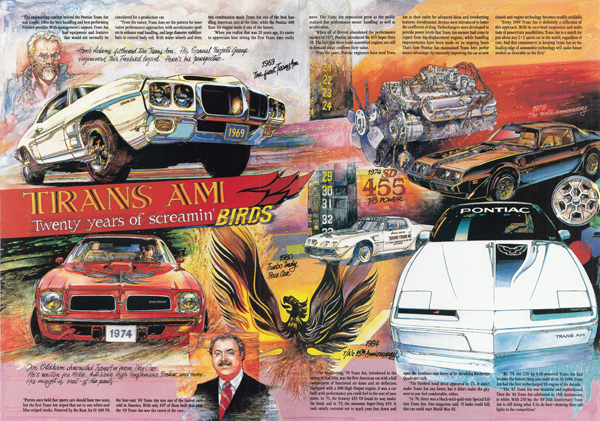 Happy 50th Anniversary to the Pontiac Trans Am! A Look Back at the 20th Anniversary Car. Late in the winter of 1969, Pontiac unveiled the Trans Am option for its Firebird models, which means that the winter of 2019 is the 50th anniversary of that milestone. Unfortunately, Pontiac isn’t around to celebrate with a commemorative model. Let’s take a look at the 1989 festivities for Trans Am’s 20th anniversary to imagine how we might be celebrating today if things had gone differently. The 1989 20th anniversary car proved to be one of the best performance cars of the 1980s. Just 1555 were produced, at a cost $10,000 more than a standard 1989 GTA. The car used a 3.8 liter turbo v6 related to the Buick Grand National engine, along with a 200-4R 4-speed automatic. The Indy Pace Car featured the fastest acceleration of any car made in 1989 – zero to 60 in just 4.6 seconds, according to Car and Driver’s road test. The official horsepower rating was listed at 245, but real-world tests put it at more like 300. Rumor has it that the number was downgraded to keep Corvettes from getting jealous. 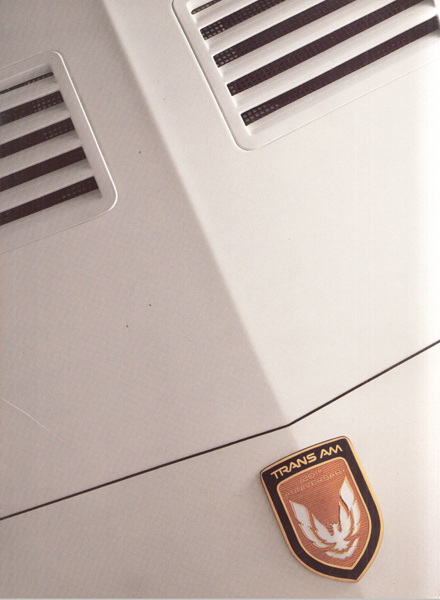 This bit of history was taken from the 1989 Trans Am anniversary sales brochure, which can be found on our website.